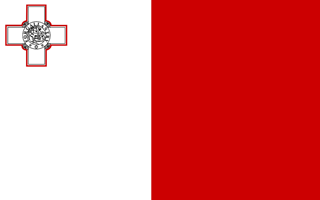 British Citizen Passport Holders do not require a Visa to travel to Malta. Non British Citizen Passport Holders can use the dropdown menu below to find out whether you require a visa to travel within the EU or call us on 01270 250 590. Non-British Citizen Passport Holders may be required to obtain a Schengen Visa – check your eligibility below or click here for further information about this service. If you are required to obtain a Schengen Visa you can download our application pack or you can contact us to request an application pack to be sent via email/post. If you hold a British Citizen Passport and are travelling to Malta for tourist purposes, you will not need a Visa! If you hold a British Citizen Passport* and are travelling to Malta for business purposes, you will not need a Visa! *Nationality not listed? Please contact us for further information. The Travel Visa Company endeavours to provide carefully collected information obtained directly from the relevant Embassies, High Commissions and Consulate Generals – however, this information is subject to frequent changes, without prior warning. As such, we cannot be held liable for any omissions or errors in the information provided on this site. You are strongly advised to check all information with one of our dedicated Visa Specialists on the telephone number above.